On the 1-2nd July 2017, the SIX TIMES OPEN Twins along with 6 other adventurers, scaled the highest three mountains in the United Kingdom. The 3 Peaks Challenge however, would not have been the possible without unmistakable support through merchandise courtesy of CUSTOM PLANET. With years of expertise in the field, we were thrilled to welcome Custom Planet to our list of supporters of the SIX TIMES OPEN campaign in 2017! 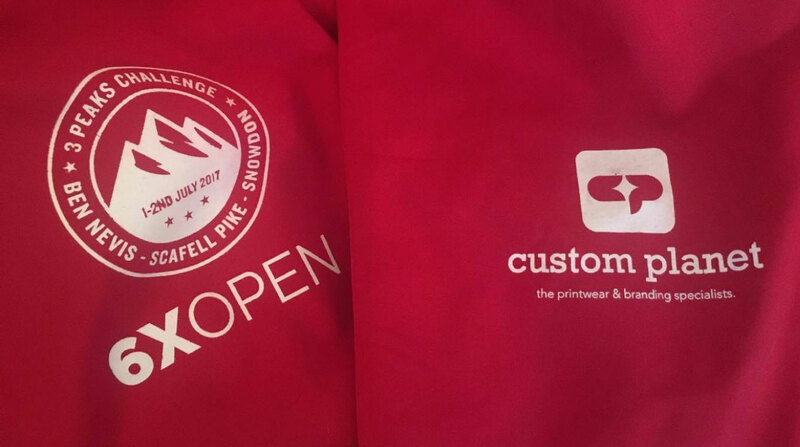 Custom planet are an industry-leading clothing customization company based in Newcastle upon Tyne who supplied and printed the jackets for the 3 peaks challenge. The top of the range kit, provided by Custom Planet did a great job of keeping the team warm and dry all the way round while keeping out the torrent of rain and wind at the peak summits. 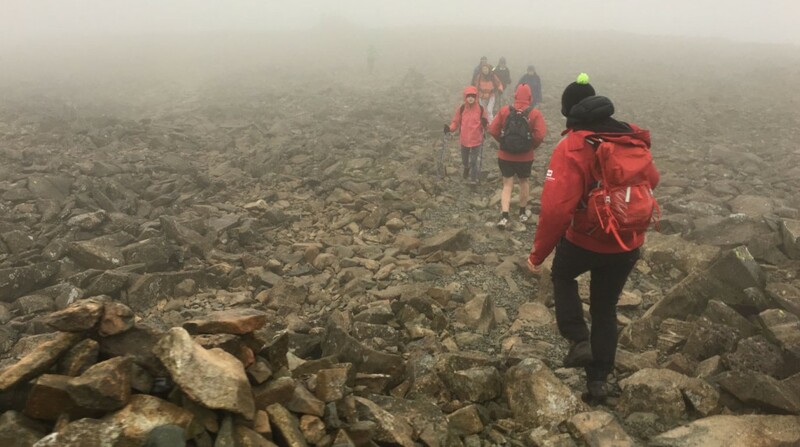 The SIX TIMES OPEN team crossed the finish line at the foot of Mt Snowdon in 23hours and 45 minutes bringing to a close a memorable 24 hours! In what was a humungous team effort, without which we wouldn’t have succeeded; the team drove, laughed, ate and celebrated and most importantly, looked like a team. Due to the amount of red kit, worn by all members of the challenge, the SIX TIMES OPEN team soon became known on the mountains as; ‘the red dream team’ by others also competing and climbing. We want to thank CUSTOM PLANET for their support and looking forward to a continued partnership for the duration of the campaign. Find out about their great service and excellent product below.